All of this designed to help you become a confident, successful and hopefully wealthy stock market trader. INO’s Daily Analysis Newsletter will deliver their popular morning and evening analysis reports directly to your inbox. Their newsletter is designed for all levels of stock market traders who looks at trading opportunities across all asset classes including stocks, futures, commodities, ETFs, foreign exchange, indexes, bonds and interest rates. This complete look across multiple trading and investing instruments gives traders a much more comprehensive view of opportunities in the markets! 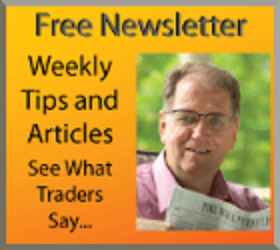 Learn both visionary trading concepts and everyday practical trading advice from Dr. Van K. Tharp’s free Tharp’s Thoughts e-newsletter. Dr. Van Tharp has original, real-world intelligence for traders who are committed to becoming the best. The articles cover the spectrum of trading topics: current market conditions, trading psychology, technical analysis techniques, position sizing™ strategies, etc. With Dr. Tharp’s straightforward coaching style, you will be able to easily glean what it takes to craft trading success. Following such advice provides Tharp’s Thoughts readers with a trading edge over those who don’t take their trading seriously. For those of you who are into Candlesticks to improve your trading, Candlesticks Trading Guru Steve Nison has a FREE online training from his Candlecharts Academy, which gives you Candlestick tips to help you with your trading. Plus you will also receive private webcasts and his regular market updates so you'll know what he is seeing in the markets. 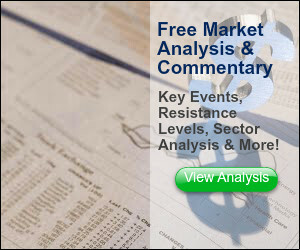 Return from "Stock Market Newsletters" to the Home Page: "Stock Market For Beginners"